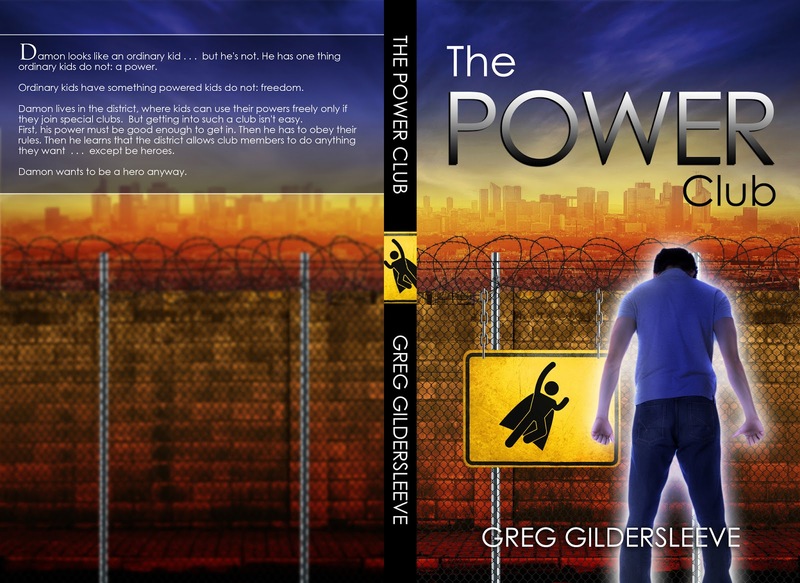 What Do You Do When You Have Super-Powers and Nowhere to Go? Buy my book to find out! 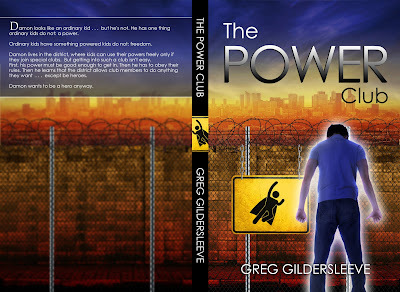 That's right: THE POWER CLUB is now available both as a paperback and on Kindle. 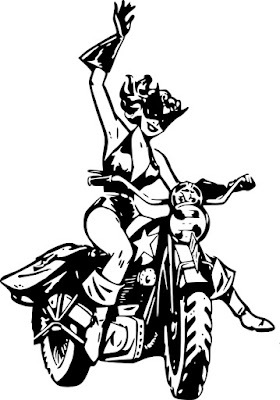 Above is the complete cover. Damon looks like an ordinary kid . . . but he's not. He has one thing ordinary kids do not: a power. Ordinary kids have something powered kids do not: freedom. Damon lives in the district, where kids can use their powers freely only if they join special clubs. But getting into such a club isn't easy. First, his power must be good enough to get in. Then he has to obey their rules. Then he learns that the district allows club members to do anything they want . . . except be heroes. Damon wants to be a hero anyway. “ISTHATTHEBESTYOUCANDO?” shouted Veryl Evans as he raced past Damon. Damon tried to make the darkspace come faster. But it came slowly, as always, a gentle cloud flowing out from every pore of his body. By the time it spread ten feet, Vee was cackling from the other side of Mackintosh Park. Damon inhaled, making the darkspace go away, and glowered. Vee could run faster than anyone else in the district and, though six months younger than Damon, was already a founding member of a club. Damon, four months past his thirteenth birthday, still hadn’t been invited to join a club. That, he determined, was about to change.